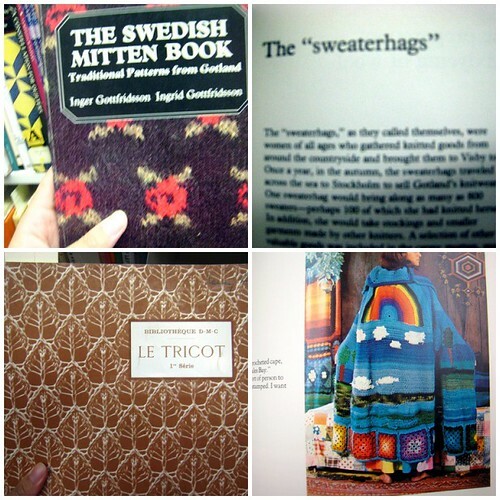 Posted in travelingproject, Uncategorized, Yarn Stores at April 20th, 2008. Sometimes, I hate learning new things. I like doing things the way I always have, and assume, grouchily, that no new way can be better. 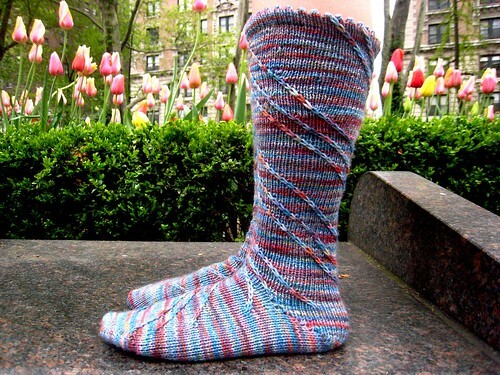 I am, however, determined to try all of the different ways of how to knit a sock, and this pattern (Swirl Socks by Sulafaye), required learning how to knit toe-up. After some frustration trying to learn Judy’s magic cast-on, I went with the crochet cast-on, and I was amazed! It was so easy! Combined with thicker needles (size 2) and sport-weight yarn, these socks have been flying along. I’ve become a total toe-up convert. That first progress shot (above) was after just five days of knitting. 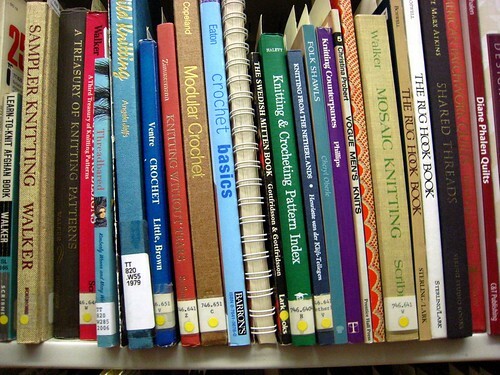 Probably, if I thought knitting taught life lessons, I would now say something about the importance of learning new things without fear. I went on a business trip to Cincinnati this week, which entailed lots of airport waiting, and thus, lots of knitting. Something about getting to stay in a hotel suite still feels glamorous to me. Traveling for work–even if just to Ohio–seems so sophisticated! And a hotel suite without all the household chores of home meant more knitting time. By the time I came back to New York, all the bulb flowers had blossomed. I had enough yarn to make these socks even taller and into knee-highs, but I had been knitting just this sock all week, and I got bored. Sometimes, when I read difficult [read: not particularly plot-driven] and long books, I get physically annoyed with the book. I remember reading Gravity’s Rainbow one summer and hitting the book against our dining room table. My dad looked up, and I was like, “This damn book won’t end!” It was slow-going in the beginning, and I seem to recall that the book was actually fairly interesting in the middle, but by the end, I just couldn’t take it anymore. I was like, “End, you stupid book, end.” I got that way with this sock, and just bound off mid-calf, with yarn left (I had pre-divided the yarn into two balls), because I couldn’t deal with knitting more of it. That’s the beauty of socks, though–you can just stop when you’ve had enough. I had never seen this kind of flower (above) before. They looked like they were cut out of crepe paper, but they were real. The rectangular ends of the petals were what made them seem fake–most flower ends are tapered, but these look like they were snipped off neatly. If you know what kind of flowers these are, leave a comment. Off I go to cast on for the second sock. 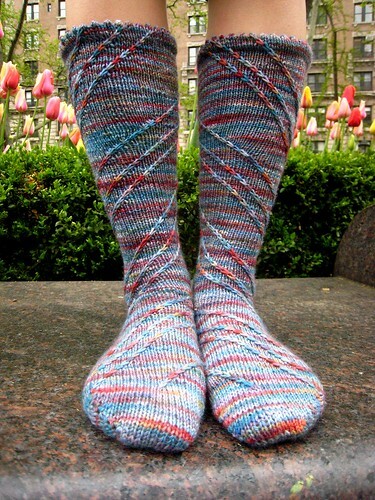 Posted in Socks, travelingproject, Uncategorized at April 6th, 2008.